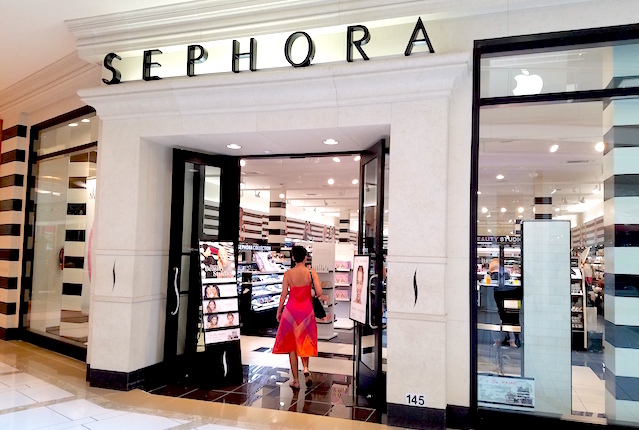 Have you ever walked into Sephora and been absolutely overwhelmed? There’s so much to choose from! If you’re not a beauty pro, it’s easy to get lost and distracted by all the colors and shiny objects. And that can mean you spend tons of money. But not so fast, beauty buffs. Before you approach the register, review these eight tips to get the best Sephora beauty deals. Sign up for free to become a Beauty Insider, and you’ll receive a free birthday gift and access to free beauty classes. Each time you make a purchase in store or online, you’ll earn points (one point per dollar) to use toward product discounts or exclusive items. Points never expire, so save them for something you really want! Reward offerings change often and start at just 100 points. Once you spend $350, you’ll automatically get bumped to “VIB” status, which gives you access to exclusive 10% to 20% off sales in April and November. If you’re a Penny Hoarder reader, you might have heard of Swagbucks. It’s a site that’ll pay you to take surveys, watch TV and shop online. However, it can also help you earn cash back on Sephora purchases. If you aren’t already a Swagbucks member, you can get $10 just for signing up. Once you’re in, shop Sephora through the platform. That way you’ll earn two Swagbucks (SBs) per dollar you spend. These Swagbucks can then be exchanged for gift cards. Don’t want to take a risk on a new-to-you product? Ask an employee if they have any free samples of the item you’re considering. Don’t forget to select your free samples at checkout! Every in-store or online purchase earns you free samples, even if you’re not a Beauty Insider (although members do score more free samples). Sephoria’s beauty samples are often the perfect size for travel. Meanwhile, the travel-size items near the checkout are a total splurge trap; you’re better off asking for samples or pouring your full-size product into a travel container. Want high-quality beauty products without the high price tag? Try Sephora’s own line. It may not get as much press as some of the big beauty brands the store carries, but the Sephora Collection is packed with under-$20 skincare items and cosmetics in plenty of shades. Sephora is owned by LVMH, the French luxury-goods conglomerate that runs Louis Vuitton, among others. So you can expect quality from this house brand. Plus, once you start browsing online, the Sephora Collection Beauty Uncomplicator tool will guide you through prompts to find the perfect match for you, whether you’re looking for a smudge-proof lipstick or feather-light foundation. See something interesting on sale or want to try a shade you’re not sure of? Sephora’s return policy is generous, so if you’re not satisfied, just take it back. If you tossed your receipt, you can use your credit or debit card or your Beauty Insider contact info to verify your purchase. If the cashier can’t verify your purchase (maybe you used cash or a gift card and weren’t signed up for Beauty Insider rewards), you’ll still be able to return the item for store credit, which never expires. We all know following your favorite brand on Twitter, Facebook or Instagram can help you score discounts and other bonuses. But did you know many Sephora locations have their own social media accounts? If you enjoy browsing in person rather than online, ask your local shop for the best ways to find it on social media. You can earn up to 4% cash back when you shop online through Ebates. Keep your eyes peeled on Ibotta, too: Sephora occasionally offers a cash-back deal on purchases above a certain amount. Do you wait until the last minute to buy refills of your favorite beauty products? Sephora Flash to the rescue. Pay $10 per year for two-day shipping on every online order — no minimum purchase required. Standard three-day shipping costs $5.95 for orders under $50; orders above $50 ship free in three business days. This program works best when you like to make frequent, small purchases and know all the products you love are available at Sephora. Some JCPenney department stores have smaller Sephora shops inside them. Stop in when you want to complete Sephora purchases quickly. These shops carry the most popular items, which helps you resist the urge to add a dozen more fun items to your basket at the last minute. Some shoppers also say the clearance selection at JCPenney shops is better than at freestanding Sephora stores. Lisa Rowan is a writer and producer at The Penny Hoarder. She always gets tripped up by the travel-size products near the register. Jacquelyn Pica is an Editorial Intern and The Penny Hoarder. She’s also a college student who’s never shopped at Sephora before, but might start now.